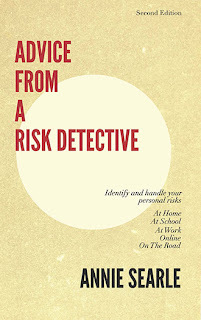 Advice From A Risk Detective: Making a difference. I've got a large network of current and former colleagues that match up well to my professional interests, but not so many of them are genuinely interested in cyber security and threat analysis. So it's a special pleasure for me to be co-presenting with Mary Gardner at the Port of Seattle's Emergency Management Cyber Summit on April 30. Mary was a key manager in my group early on at Washington Mutual, where she developed and led incident response, technical and vendor assessment security teams. After a spell at the Port of Seattle, she moved to head information security for the Fred Hutchinson Cancer Research Center. Between the two of us, there's a lot of history, shared values and commitment to doing work that makes a difference. On a day like today, where I've been glued to the television set while law enforcement closes in on a home-grown terrorist, it's good to acknowledge the parts of our life and work that come full circle.